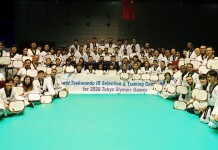 A day full of surprises in Para taekwondo’s largest-ever tournament demonstrates the rapid growth in the newest Paralympic sport. 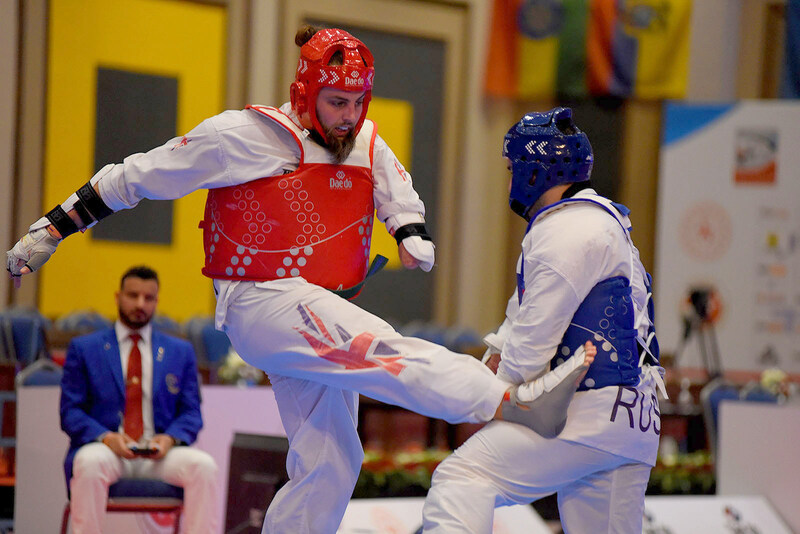 ANTALYA, Turkey (Feb. 6) – Wild – that’s how to describe the first day of competition at the World Para taekwondo Championships in Turkey, with favorites falling, new nations emerging, and new world champions in multiple divisions. The day was highlighted by unexpected wins for Great Britain’s Matt Bush in the men’s heavyweight (over 75 kg), China’s Yujie Li in the women’s middleweight (up to 58 kg) divisions. Representing the rapid growth of the sport, neither was ranked in the top 10 world rankings and, more incredibly – both picked up the sport less than two years ago. 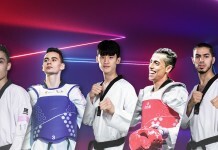 China and Thailand both crowned Para taekwondo champions for the first time yesterday, while Britain has its first man to win a taekwondo gold medal for Britain – on either the Olympic or Paralympic side. Bush had a tricky path to becoming Britain’s newest champion. He had to get by Iran’s No. 3-ranked, two-time world champion Asghar Aziziaghdam and Russia’s No. 5-ranked 2015 runner-up Zainutdin Ataev, the latter in a thrilling golden point title fight. The achievement didn’t seem to phase the relaxed Brit, who had an unusual routine before the biggest fight of his life. China emerged as a nation to take seriously in the sport after crowning two new world champions on Day One. Perhaps the must stunning result of the day was Yujie Li’s triumph in the women’s middleweight division. Unranked before entering her first international competition, Li looked strong in upsetting No. 4-ranked hometown favorite Gamze Gurdal and Mexico’s No. 6-ranked Jessica Garcia Quijano. An injury to the division’s top fighter, Denmark’s undefeated Lisa Gjessing, left room for a new champion in the division. Li bested Serbia’s No. 9-ranked Marija Micev, also appearing in her first international final, in a tight middleweight final. Li’s win was overshadowed by the loss of Gjessing, one of the sport’s biggest stars. Gjessing was forced to withdraw from her semifinal match after re-injuring the arm she broke while winning her fourth European championship last June. After x-rays came back negative, the Danish fighter speculated that pins in her arm from her last surgery might be covering a fracture. She’s expected to miss up to nine months. In another unexpected result, Thailand’s Khwansuda Phuangkitcha has emerged as one of the strongest fighters in the women’s lightweight (up to 49 kg) division. 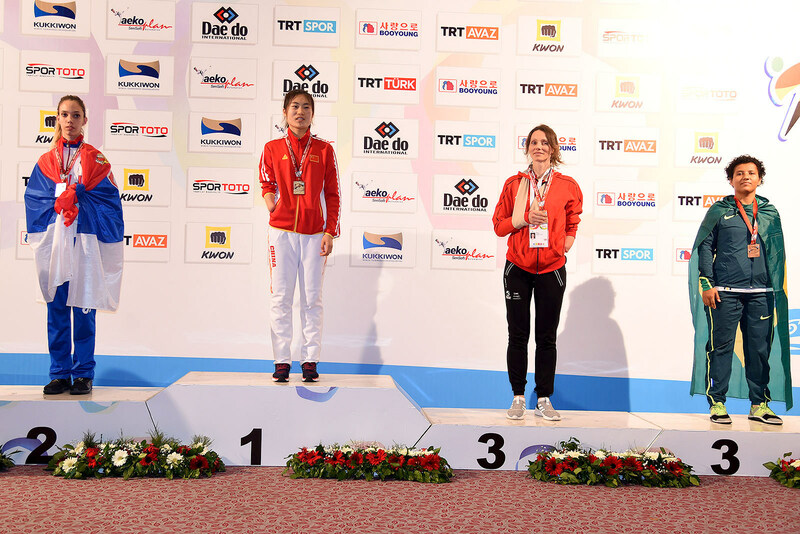 She captured her second international title in just her third tournament, becoming Thailand’s first world champion in the process. She shocked Turkey’s No. 2-ranked Meryem Betul Cavdar in the first round, before getting by Azerbaijan’s No. 11-ranked Royala Fataliyeva in the semifinal. Fataliyeva had an upset of her own, surprising Mexico’s No. 3-ranked Claudia Romero in her quarterfinal fight. Phuangkitcha capped her first world championship after Mongolia’s top-ranked Enkhtuya Khurelbaatar was disqualified for an illegal kick. In a sign that parity has reached the top end of the divisions, new faces from new places shocked their more experienced opponents throughout the day. There was no shortage of top-ranked fighters who failed to live up to pre-tournament expectations. Only three of 15 top-five seeded fighters in the K44 divisions made it to the semifinals; four top-five seeds didn’t make the quarterfinals. The men’s heavyweight division lost Croatia’s Ivan Mikulic (No. 1) and Russia’s Aliskhab Ramazanov (No. 4) before the quarterfinals, while the women’s middleweight (up to 58 kg) lost the USA’s Brianna Salinaro (No. 2) and Turkey’s Gamze Gurdal (No. 4) in the Round of 16. The women’s lightweight division saw Uzbekistan’s Ziyodakhon Isakova (No. 4) crash out early, while Turkey’s Meryem Betul Cavdar (No. 2) couldn’t emerge from her first fight, a disappointing quarterfinal loss to Phuangkitcha. Ukraine’s Vika Marchuk showed why she’s the top fighter in the women’s lightweight K43 division with a dominant 20-point win for her sixth world title. She looks set to qualify for Tokyo 2020 and put her K44 counterparts on notice that she’s ready to compete. 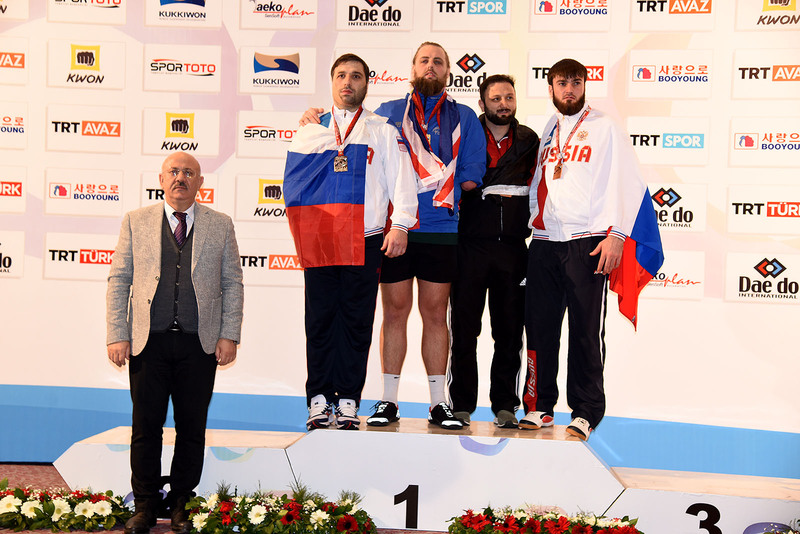 Turkey’s Mehmet Vasif Yakut also put on a clinic in winning the men’s heavyweight K43 division. He outscored his opponents 42-2 in two fights and is certain to become the division’s sole No. 1 seed. Action resumes on Wednesday with the men’s middleweight (up to 75 kg), men’s lightweight (up to 61 kg), and women’s heavyweight (over 58 kg) divisions.